Soldiers join the Army for a variety of reasons: college money, a skill, pride, patriotism, discipline, and many more. Some just want to try something different. Recruiters just have to leverage all of the benefits of joining this great Army. Somewhere out there right now is the 22nd SMA waiting on a recruiter to sell him or her the Army as a career. Recruiting is everyone’s responsibility. NCOs must become visible in the community and help the community know what programs are available, and they must present a positive image of the Army. 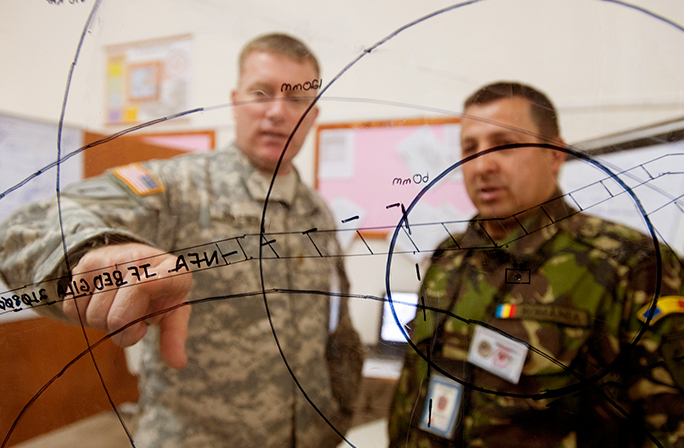 In this way, NCO leaders become the force multiplier needed to reach America. Adventure, challenge, being part of a team, and facing and overcoming obstacles are all part of why young men and women join and soldiers stay in the Army. I stayed in the Army because a number of great NCOs and officers really showed me what the Army is all about: the camaraderie, the cohesiveness, the duty, honor, and country. Confidence and satisfaction developed through meaningful training will cause soldiers to reenlist. It will cause soldiers who return to hometown USA to become our most effective recruiters by using positive word-of-mouth influence. Quality attracts quality. Today, our Army puts a lot of emphasis on individualism, professionalism, and leadership. Our recruiting slogan, “Be all you can be,” is aimed precisely at the attitude of our country’s youth. The best recruiting tool we have is a reserve soldier who feels he or she is making a meaningful contribution; being trained well to do the job, and who relates that satisfaction to friends at work and in the community. The bar to reenlistment signals the fourth quarter in a contest where there is no overtime for a lucky play in a sudden-death play-off. The final score is for keeps. It is a blunt warning that professionalism is the norm and not the exception. Many times in recent years, I have heard it said that reenlistment decisions are often made at the kitchen table. In an Army where 55 percent of the force is married and another eight percent are single parents, soldiers' spouses and children play a key role in the decision. Never in more than three decades of marriage have I ever doubted who was in charge around my house, and I know that how a family feels about its collective welfare has an impact on retention.